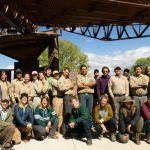 The Verde River is an ecological, recreational, aesthetic and economic treasure for the citizens of the Verde Valley and the State of Arizona. It flows year-round and nearly continuously from its headwaters near Paulden for about 190 miles to its confluence with the Salt River near Mesa. 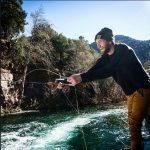 Although the Verde River’s year-round flow may seem secure, it is, in fact, vulnerable. 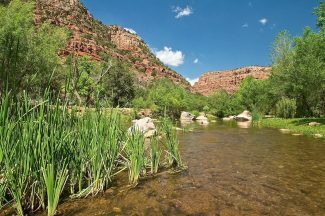 It is threatened by a warmer, if not drier, climate and by ever-more groundwater pumping to support the needs of an ever-increasing population within the Verde River Basin. The threat of climate change is difficult for us to deal with locally. 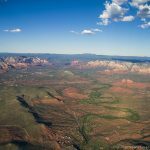 However, the threat imposed by groundwater pumping — essentially our sole source of water for municipal, industrial, and domestic uses in Yavapai County — can and must be addressed regionally within the Verde River Basin. 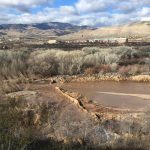 Assuring the existence of a healthy Verde River for future generations requires that we protect our groundwater through halting the decline of water tables within the Basin. With the very small likelihood that we will be able to import a vast water supply from elsewhere, we must live with our means, developing practices that either reduce the human demand on our groundwater or that augment the groundwater supply. A vital target for enhanced and committed regional cooperation in protecting the groundwater within the region is the area of the Big Chino and Williamson Valleys. Groundwater beneath those two valleys flows to the uppermost Verde River through a broad alluvial basin filled with alluvial and volcanic deposits that host the so-called Big Chino basin-fill aquifer. The groundwater exiting to the river — referred to as base flow — is what sustains year-round (perennial) streamflow during low-water periods each year. Prescott and Prescott Valley have the legal right to pump and import about 8,000 acre-feet per year of groundwater from the Big Chino Water Ranch in the central part of the Big Chino Valley. In a joint agreement with the Salt River Project, they have committed to mitigate any negative effect on the minimum flow of water in the upper Verde River that extends their withdrawals. About 224 square miles — 80 percent of the area that directly overlies the basin-fill aquifer — consists of contiguous private land and State Trust land that is prime for eventual development; the remainder is National Forest land. The terrain is for the most part sparsely-developed grass land with gentle relief, and groundwater occurs throughout at depths that range from a few feet to several hundred feet. With Yavapai County’s two-acre rural zoning, the area could contain more than 70,000 homes that, dependent solely on groundwater, would be expected to pump about 20,000 acre-feet per year. That rate of pumpage would have substantially exceeded the measured rate of flow at the Paulden streamgage for all but five days in 2014. The expected consequences of such pumpage are unacceptable. In subsequent decades, ever-deeper wells would be required in the Big Chino and Williamson Valleys, and gradual reduction of base flow would occur, with eventual shallowing if not seasonal or year-round drying of some currently perennial reaches of the Verde River. Ultimately, the upper 25 miles of the Verde River would be dry most of the year, and base flow entering the Verde Valley above Clarkdale would be reduced by about a third. Purchase of development rights on yet-undeveloped tracts. Controlling development via land-use management. Regulating groundwater pumping to protect streamflow. To be successful, such strategies must be well-vetted, carefully planned, their effectiveness assured in reducing the human demand on our groundwater or augmenting our groundwater, and they must be mandated. Meaningful implementation on a regional basis will require new political thinking with understanding and commitment by citizens, business, and elected officials. Such strategies, if mandated, have the potential to support appropriately planned development. The time to start is now. There will never be a better time to take on this challenging issue. Delay will make protecting the year-round flow of the Verde River flow more difficult, and inaction will doom it.